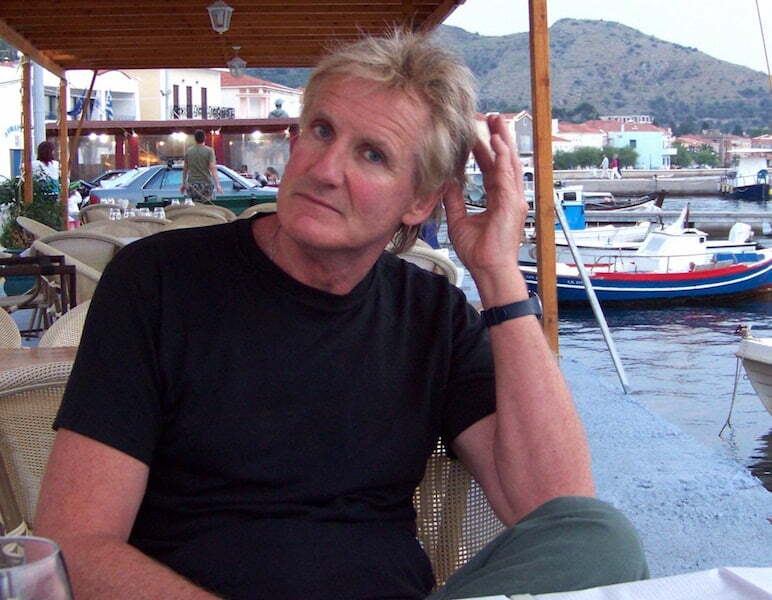 Last year we lost one of Australia’s leading rare plant collectors and growers, Marcus Harvey. His death left a huge hole not only in his family but also among keen gardeners. Marcus died from melanoma in December. He was 64 years old. Tasmanian born and bred, he operated his business Hillview Rare Plants from his steep hillside property at South Hobart. While the business has not traded since his death, his family hopes to offer a final catalogue of bulbs for sale in the 2017/2018 season. 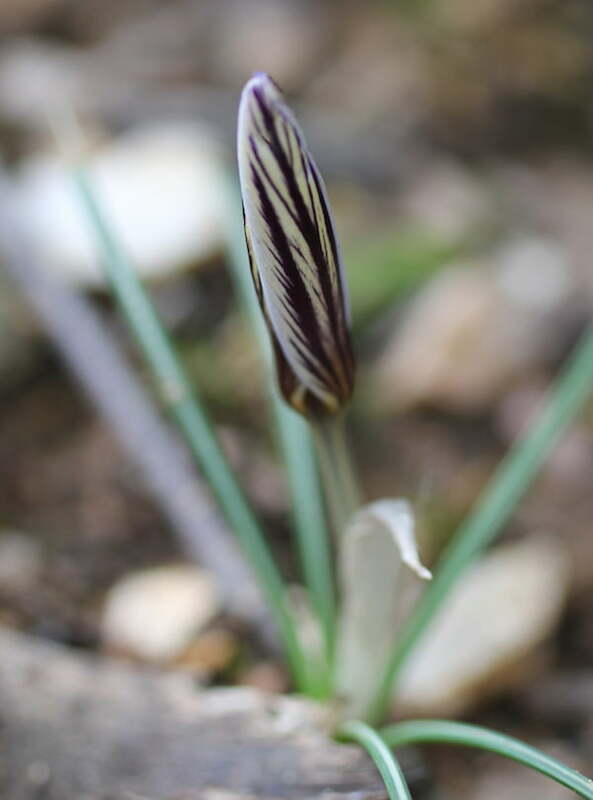 Marcus Harvey had a particular love of crocus so it is fitting that his name will be associated with a beautiful crocus species grown and named just this week by fellow rare plant enthusiast Jānis Rukšāns. 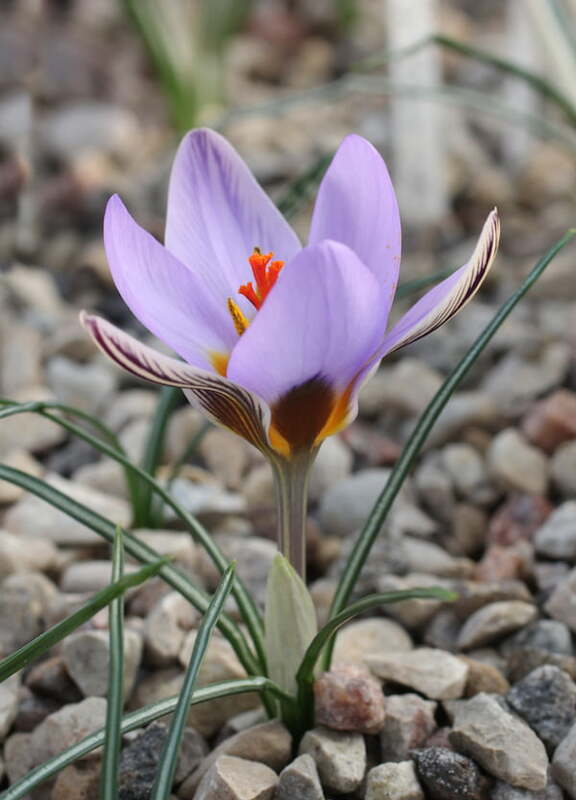 The new ‘Marcus Harvey’ crocus (Crocus harveyi) is a species originally collected by Marcus as seed during one of his collecting trips in Greece. The new name was published on this week in International Rock Gardener. Marcus Harvey wrote about his collecting adventures in his blog titled ‘Ramblings’, which is published on his website and also in poems. His blog posts recount joyous discoveries of rarities and descriptions of far away places along with the inevitable setbacks. In ‘Mad Dogs and Primroses’ he tells the story of rescuing son Alex when he was chased up a mountainside by angry dogs as Harvey himself was in pursuit of an illusive primrose. Illustrations accompanying many of Marcus’s blogs and seed lists are by his partner Susan Jarick. Recently Jennifer Stackhouse made the big move from Kurmond in NSW to a Federation house in the little village of Barrington tucked beneath Mt Roland in northwest Tasmania. 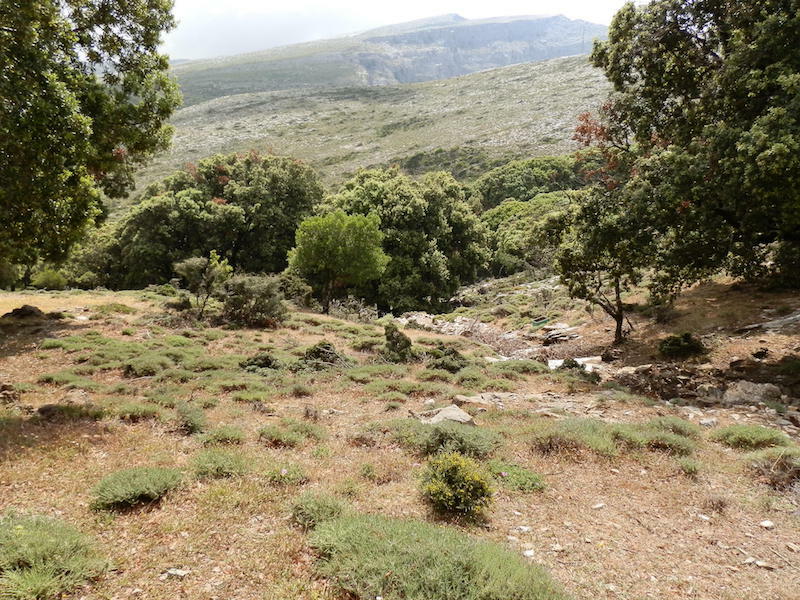 With high rainfall, rich, red deep soil and a mild climate she reckons she's won the gardening lottery. She's taken on an acre garden that's been lovingly planted and tended for the past 28 years by a pair of keen gardeners so she is discovering a garden full of horticultural treasures. Jennifer is the author of several gardening books including 'Garden', which won a Book Laurel for 2013, as well as ‘The Organic Guide to Edible Gardens’, ‘Planting Techniques’ and ‘My Gardening Year’, which she wrote with her mother Shirley. She was editor of ABC 'Gardening Australia' magazine and now edits the trade journal 'Greenworld' magazine and writes regularly for the Saturday magazine in 'The Mercury'. She is often heard on radio and at garden shows answering garden queries. Thanks Bernard! Aren’t the images of the crocus just wonderful. I am so pleased to see this tribute to Marcus. He deserves every good thing said about him. He and I were friends in a mild way from 2005 when with a friend from NSW I stayed with him in Hobart. I had already imported his seed from the eastern Mediterranean and then was able to import annually, his wonderful bulbs, especially Crocus, Galanthus, Narcissus species and others, many of them very rare. These species and forms are in New Zealand because unlike other nursery exporters, he was prepared to go through the inspections and bureaucracy, and red tape required by New Zealand’s Ministry of Ag and Fish (now Min of Primary Industries) when those others couldn’t be bothered. At this time of year especially I think of Marcus daily as crocuses and snowdrops are approaching their peak flowering and every one seems to be a link back to him and his nursery. Marcus was a great plantsman but for too few years. I and my garden are the richer for having known him as are so many others here and throughout the world.